American Republican Party politician who served in the U.S. House of Representatives from 1877 to 1899. He was Speaker of the House from 1889 to 1891 and again from 1895 to 1899. He attended Bowdoin College and later practiced law in Portland, Maine. 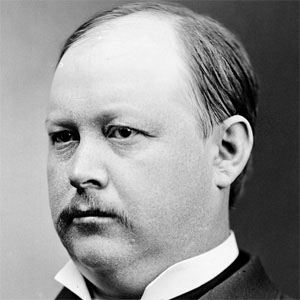 During his time in Congress, he became known for two things: his massive size (he weighed more than three hundred pounds) and his quick, dry wit. He was born in Portland, Maine. He died at the age of sixty-three in Washington, D.C. He competed against future U.S. President William McKinley for the position of Speaker of the House.